Kidneys perform vital functions that help maintain your overall health. They filter wastes and excess fluids from your blood, which are then excreted through urine. If not taken care of, kidneys may be infected and may lead to kidney failure or may raise the need for dialysis treatments or kidney transplants. Chronic Kidney Disease (CKD) describes the gradual loss of kidney function. There are 5 stages of CKD, from mild damage in Stage 1 to complete kidney failure in Stage 5. Your kidneys, though infected, do not usually fail all at once. Hence, there are stages based on how easily the kidneys can do their job. In mild stages, only a few signs or symptoms may be observed as the kidneys are still able to function. However, in later stages, kidneys have to work harder to get rid of waste and/or may stop working altogether. Worry not though, as CKD often progress slowly over a period of years, which means that if it has been caught early, lifestyle changes, medicines, and quality care may still help delay its progress. Stage 1 kidney disease means having a GFR greater than 90. Most of the time, this may mean that the kidneys are healthy and working well. Nonetheless, if there are other signs observed such as protein in one’s urine or a physical damage to the kidneys, even having a normal GFR rate may mean that the kidneys may have already been damaged mildly. If diagnosed with Stage 1 kidney disease, it is important to seek medical attention about how to prevent the damage from getting worse. Some of the suggested ways to slow down kidney damage are: Eating a healthy diet, keeping a healthy blood pressure, controlling blood sugar if you have diabetes, avoiding the use of cigarettes or tobacco, and exercising 30 minutes a day. Stage 2 CKD means that the GFR is between 60 and 89. This stage may also show no obvious symptom. Even on stage 2, one can still delay the progress of the disease by consulting a doctor. 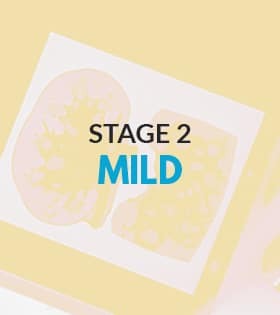 The suggested ways to delay damage in stage 2 are the same as those in stage 1, but it is advisable to make an appointment with a nephrologist – someone that specializes with kidney conditions and abnormalities – even after seeing a general doctor. Stage 3 CKD means the kidneys are moderately damaged and are not working as well as they should. Stage 3 is separated into two sub-stages – 3A and 3B; Stage 3A means that the GFR is between 45 and 59, whereas stage 3B means having a GFR between 30 and 44. Some more obvious symptoms may start to show during this stage. The common signs are swelling of hands and feet, experiencing back pain, and having to urinate more or less than normal. You may also experience other health complications as a result of waste building up in your body. Common complications from CKD are high blood pressure, anemia, and bone diseases. These complications should be treated immediately. To keep your CKD from getting worse, follow the same steps for living a healthy lifestyle as in stages 1 and 2. Additionally, one must also work with a nephrologist to create a treatment plan. The nephrologist will tell how often the kidneys need to be checked – commonly every 6-12 months. Meeting a dietician will also help you stick to a diet that will keep you healthy. If you have diabetes or high blood pressure, ask your doctor about special kinds of blood pressure medicines called ACE inhibitors and ARBs. Studies show that these medicines may help CKD from getting worse. 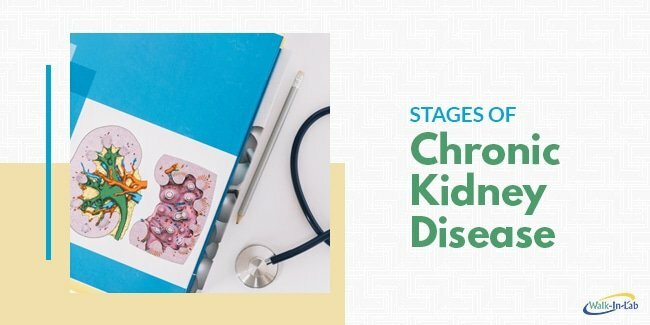 Stage 4 CKD should be taken very seriously. It is the last stage of kidney disease before kidney failure. In Stage 4, the symptoms from stage 3 become more evident. Other complications may also worsen. 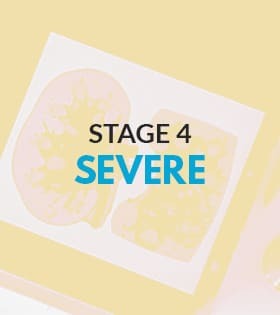 To keep stage 4 CKD from progressing to kidney failure, the steps from stage 3 should be consistently observed. If not, this may be the time when your nephrologist prepares you for Stage 5 or total kidney failure. Once your kidneys have failed, you will need to start dialysis or have a kidney transplant to live but you can start planning for dialysis or kidney transplant before you reach kidney failure. There are several things you should consider when getting ready for dialysis. You will need to choose a type of dialysis, your vascular access type, and consider your finances and the sustainability of this kind of treatment. If you are able to find a living kidney donor, you may not need to start dialysis at all. It is possible to have a transplant when your kidneys are getting close to failure. There are many things to consider as you prepare for transplant and your nephrologist will be right person to discuss these with you. 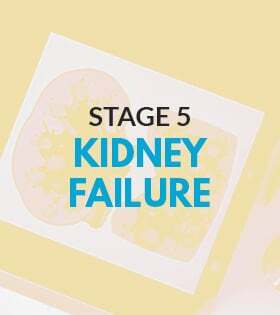 At Stage 5 as your kidneys begin to fail, the symptoms are more severe. Toxins and wastes that build up in your body will make you very sick. Not to mention the other complications that comes along with it. You may need more active treatment such as dialysis or kidney transplant as discussed in stage 4. Some of the symptoms of kidney failure, in addition to those already mentioned in the early stages are: itching, muscle cramps, nausea and vomiting, not feeling hungry, trouble breathing and trouble sleeping. Once your kidneys have failed, you will need to start dialysis or have a kidney transplant to live. Now that we know the different stages of kidney disease, the symptoms accompanying each, and the preventive measures; it is important to note that taking tests are still the most effective way in checking whether or not your kidneys are damaged. Luckily for you, there are ways you can test quickly. Click here to know more about it. The tests may include two simple tests – blood and urine test. GFR has been repeatedly mentioned throughout the article, the way to check this is through blood tests. Another test that can be done is through a urinary test called ACR. ACR stands for “Albumin-to-Creatinine ratio.” This measures the albumin (a type of protein) in your urine. If your urine test comes back “positive” for protein, the test should be repeated to confirm the results. Three positive results over three months or more is a sign of kidney disease. Remember that kidney diseases are preventable if caught in early stages. If necessary action has not been taken, the damage may progress and cause other complications. Stay on top of your overall health and take the tests now for a healthier you.